Electroisthefuture.com is a new website dedicated to the Electro Movement. Our goal is to turn On a spotlight to the electro-dancers giving to the movement a better diffusion and to the reader the proper knowledge about Electro in all the forms. The website is officially open on October the 18th 2017. Electro is the Future, keep it in mind. Electroisthefuture is an Italian project about the Electro dance movement. The idea born from the collaboration between two characters of the Italian scene (a dancer and an organiser) who, after ten years growing up together with the movement, decided to start an adventure with the goal to relate all the activities of Electro from the inside to a vast and all-around audience. The website, the Facebook page and Instagram, from which this project communicates, wants to be a spotlight on the main activities of the artist populating Electro dance movement. Everything to help the acknowledgement of these artists and their culture to the World outside Electro. 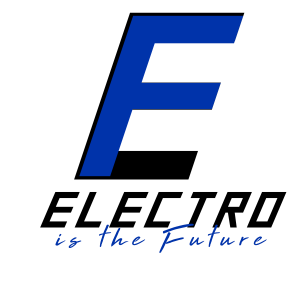 At the same time, Electroisthefuture wants to be a reference for every exponent in the Electro culture, giving to them, all the necessary information about every event and activity. That’s why on these portals you can find: breaking news on the main events, interview with the principal characters on the dancing and music scene, the best videos and the most beautiful pictures, the most exciting music productions and the main World-wide events calendar. Electro today is a dance developed all over the planet, in its first ten years in which it was born and has spread has experienced many situations that slowly will be told and in the next ten years will certainly live as many experiences that we can not wait to tell you. That’s why we will be on the scene during the most typical days to document the next years of this culture, with an eye of respect to its origins and its pillars, who have supported it from the first moment. The Electroisthefuture staff is composed by Antony Rodella and Davide Perrone (aka Sapek), who will now add a narrative voice to your electro journey. Antony, in the movement since May 2008, is a videomaker and staff organiser in Italy (mainly Vertifight). He’s known for the videos marked “edit by antony” and for the role of Vertifight International staff held from 2012 to 2017. Currently, besides taking care of the Italian scene, he is part of the LRC staff and collaborator of the Aosta Free Moves dance school and will be the chief editor of the website as well as the field reporter. Sapek, Electro dancer since 2009, winner of a 2vs2 Freshmen in Italy in 2011 and third place in the Italian 1vs1 Championship in 2012, is a well known and appreciated exponent in the Italian Electro movement. He danced and grew up along with the best Electro artists of his country. Currently, a student of Economics at the Bicocca University of Milan is now ready to tell and disseminate the leading Electro stories among the social pages of this project.